The Annual BT-PeopleStrong Survey, carried out in association with Naukri.com, shows how employer branding makes a telling difference. Thrill-seekers, explorers, people who make a difference, always create waves, get attention and generate buzz. This is exactly the kind of people that Google has been employing. 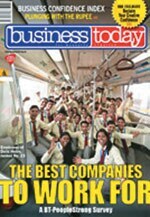 The company once again tops the chart of Business Today's Best Company to Work For. Why? "The fact that Google employs the brightest people, the fact that it pays well and has the best working atmosphere is known out there. 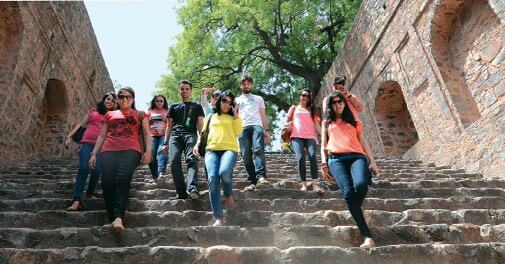 Reputations are built over time," says Kris Lakshmikanth, Managing Director and CEO, The Headhunters India. He points to the exciting work, the kind that is futuristic and the tough selection process. Lakshmikanth should know as he is a veteran in talent search and has tracked hiring trends, especially of IT companies for over two decades. 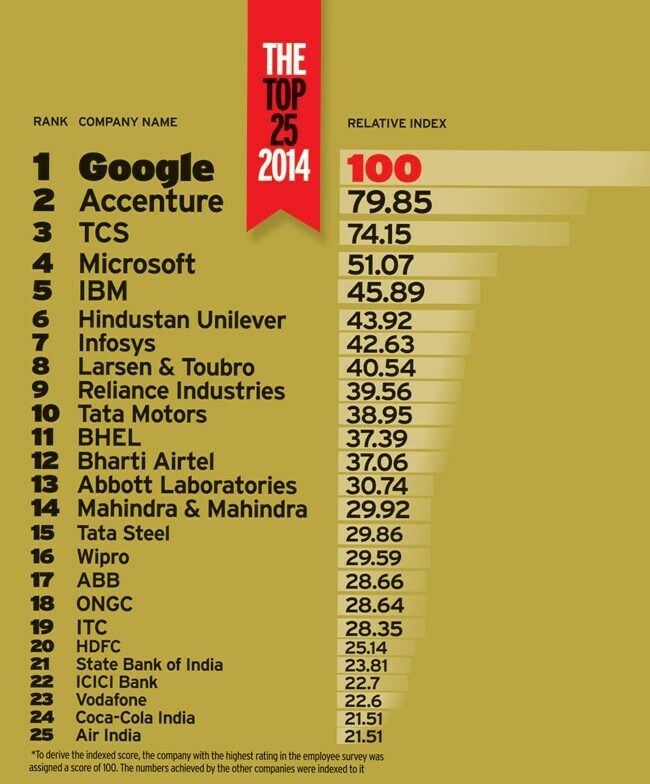 But how does one understand the ranking that places Accenture or TCS right behind at the second and third position? 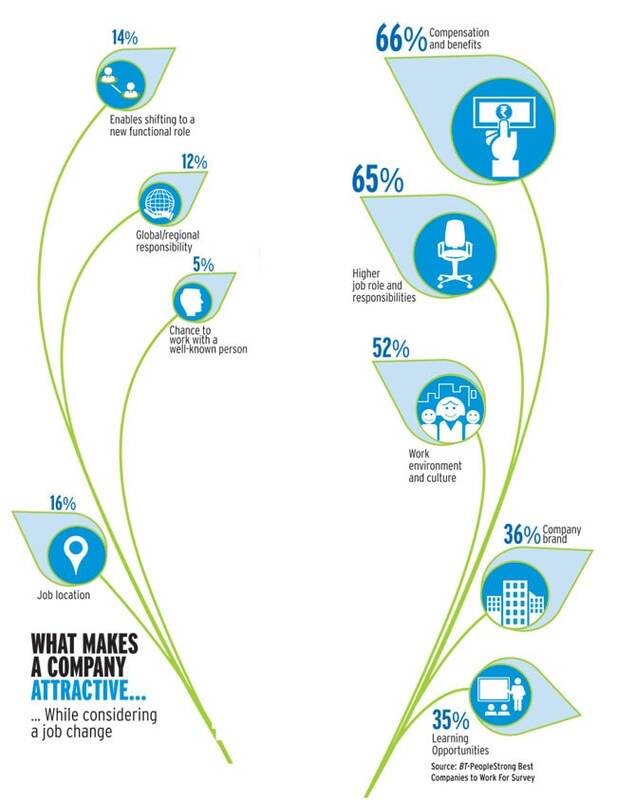 "Accenture's consistent communication and better salaries have gained traction in the market. TCS is a 'good' company, but also a regular company," says Lakshmikanth. What he is trying to nail are the nuances and filters people use to differentiate among good brands. So, while Google may be employing just over 2,000 people, TCS has an army of over three lakh employees. Well, limited seats and tough selection process is precisely why IITs and IIMs are revered. In fact, this ranking puts back the spotlight on the power of employer's brand value. The new-age companies and legacy organisations have melded into our culture like, for instance, the Tatas. This is a reason why the ranking has the names of the companies that are facing tough times but are still favoured. It is not the best of the times for Microsoft but the company has made it to our top-five list. Accenture employees outside the office. The company ranks second in the survey. The economic cycle may be taking a toll on Tata Motors and Tata Steel but they are still liked. That's because trust means a lot. "I always had a nice impression of the Tata brand. By nice I mean it is solid, it has a core system of values where I felt comfortable even before I joined the company," says Raghav Sud, Head of Financing Strategy, Tata Steel. The Best Companies to Work For has been an annual feature in BT for 12 years. The last study had found that employees look for meaning than money in their jobs. Before we get on to the specifics, let us tell you how we did the ranking and why it matters to keep your ear to the ground. This is the 13th edition of the annual Business Today Best Companies to Work For survey. We continue our partnership with PeopleStrong HR Services, which conducted the survey and analysis. We once again relied on job search company Naukri.com for its extensive database and reach of over four million registered users and over 500 employers. All this implies that the feedbacks are that of employees from across India and tell what they are thinking. To fine-tune our efforts, we conducted two panel discussions comprising eminent HR heads from companies based out of Delhi and Mumbai. We wanted to know what the companies had to say about our methodology, so that we could do course corrections, if any. Their support was reassuring indeed. The HR heads unanimously felt that our approach of directly reaching out to employees through Naukri.com database was refreshing and unique. Our aim was to etch the perceptions and aspirations of India's employees across sectors. So the companies should scrutinise the findings as it reveals what matters to the employees and what they really think. The survey was done between January 24 and April 11, 2014. The total number of respondents surveyed is 13,364, of which eight per cent are women. The distribution is almost even in the 25-45 age group. In addition, 12 per cent of the respondents are in the 46-55 age group, three per cent in 56-65 age group, and only seven per cent in the less than 24 per cent segment. Ten sectors, including software, pharma, health care and engineering, were covered. While 37 per cent respondents were from north India, 19 per cent were from west and 18 per cent from south. Respondents from central and east India constituted 13 per cent each. Employees of Indian private companies accounted for 51 per cent of the respondents. Those employed with MNCs formed one-third (29 per cent) of total respondents. For the overall ranking, respondents were asked a direct question: "Among all the companies that you know of in India, what are the top five dream companies that you would want to work for?" We then followed it up with another query: "Which company would you rank the best on each of the factors?" The follow-up question was asked only for the top three companies of the five selected by the respondents in the first question. The survey participants rank the top three companies on six specific criteria: career growth prospects, financial compensation, work-life balance, performance evaluation, stability and other HR practices. The same approach was used to rank companies within the respective sectors of the respondents. And this is exactly why the top 'dream company' has nothing to do with sectoral ranking. A person's 'dream company' could be different from how he/she shuffles the choice within a given sector. Though much has changed from last year, our list of top three companies remains unchanged. Reliance Industries makes a comeback and so does ITC and ICICI Bank. Coca-Cola India joins the league for the first time. Google is the favourite across regions except east India. There the ranking was dominated by engineering sector and so Tata Steel, ONGC and SAIL topped the chart followed by Google and Bharti Airtel. The choices of people in the 46-55 age-group were at variance with the other age-groups who had similar choices. They ranked TCS, L&T and Reliance as their top three choices followed by Tata Motors and Tata Steel. Employees in the 56-65 age bracket favoured PSUs and those above 65 opted for Abbott Laboratories. A new addition to the best companies narrative is what makes a company attractive, especially when employees consider a job change. Is it the brand name? Yes, it is. Employer brand is the holy grail. And we repeat: reputation can't be built overnight. The brand value allows companies to take tough decisions while keeping dignity intact. For instance, the decision did not come easy for ICICI Bank when it decided to let go 1,200 people earlier this year. "We are blessed because of the people who serve us or have served us in the past. 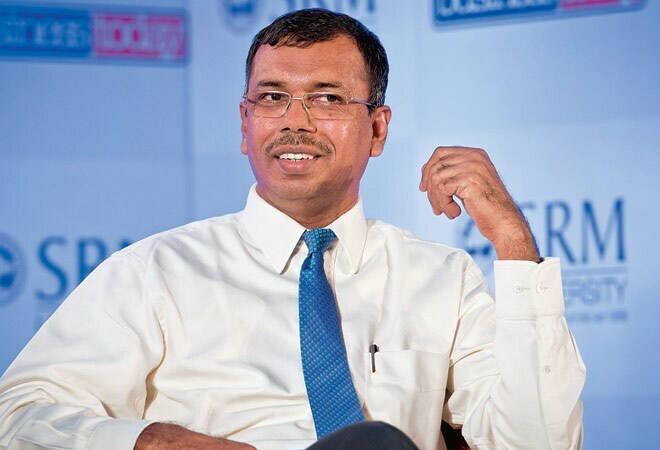 Also because the bulk of the people who leave us do so with their love and affection for our brand intact," says K. Ramkumar, Executive Director and HR Head, ICICI Bank. He says that the bank has never terminated people overnight unless there was a grave risk or credibility issue at stake. The bank has been working assiduously over the last five years to radically transform its approach to people issues. If the clients were being told 'Khayal Aapka' (concern for you), there is now an equivalent for employees, too: 'Saath Aapka' (with your help). The bank has consistently shown its benevolent side to employees. While there is a medical cap of Rs 4,00,000 for employees and their families, in some cases, it happily keeps aside such things. Such acts certainly make an institution humane. More importantly, such thoughts flow from the top. And it is here that Indian multinationals (MNCs) are finding their true mÃ©tier. "Pink slips are a western concept. Indians build their lives around work and the concept of instant firing is still alien," says Priya Chetty-Rajagopal of RGF Executive. And this is exactly how legacy brands such as Tata, Reliance and Mahindra & Mahindra endure. Anand Mahindra, for instance, often talks about importance of reflection for leaders. "In the last one year, we have been training leaders to think before they act, deliberate before they deliver and reflect before they react," says Prince Augustin, Executive Vice President, Group Human Capital and Leadership Development, M&M. There is no doubt that the new generation of companies needs to break free and engineer HR policies that are remarkable. A case in point is Fractal Analytics - outside the ambit of our survey - that allows one to choose one's boss and set one's own leave limits. Meanwhile, Indian MNCs like Bharti Airtel are proving that their HR managers work like business partners. 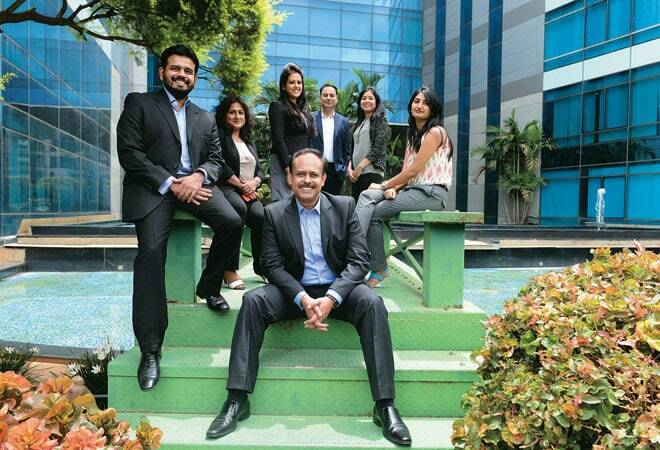 "We groom our HR personnel to be business people who wear an HR hat and they tail managers and business models," says Srikanth Karra, HR Director (India and South Asia), Bharti Airtel. Changes at workplaces are perennial and it is exactly why human stories never go out of favour and remain the centrepiece of growth.